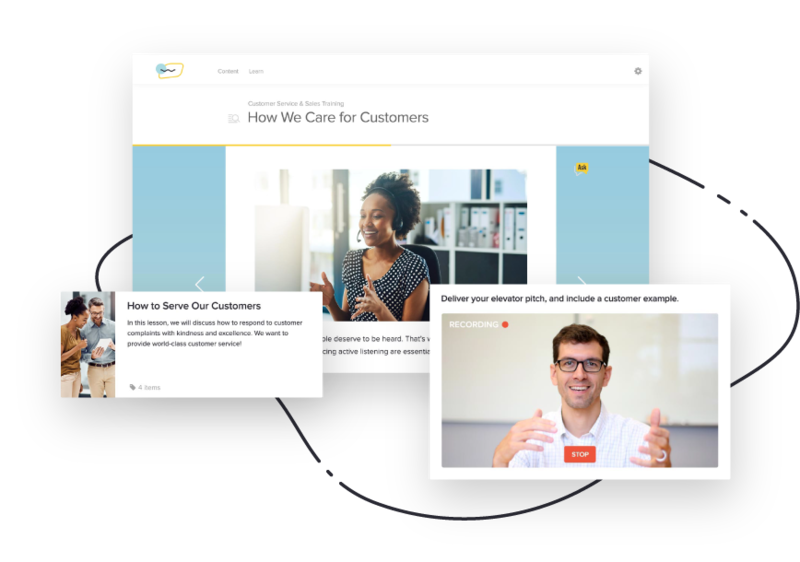 Enable trailblazing reps and agents to close more deals and deliver better customer service. 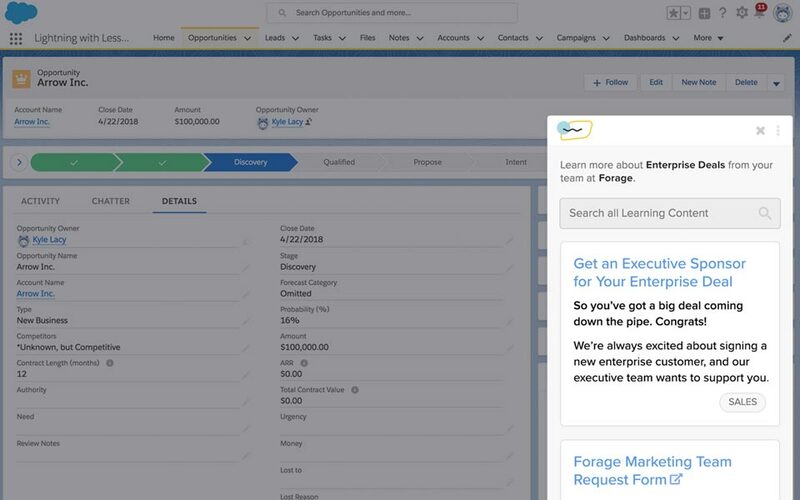 With Lessonly training right in Salesforce, it’s easier than ever for reps to stay in the loop, get in-sync, and do their best work. 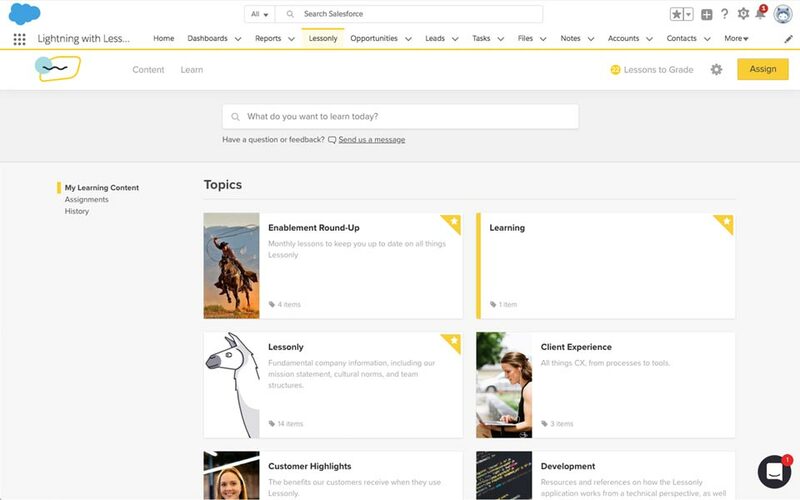 Integrate Lessonly with Salesforce to provide reps and agents with easy access to the training they need, right in the CRM they use every day. 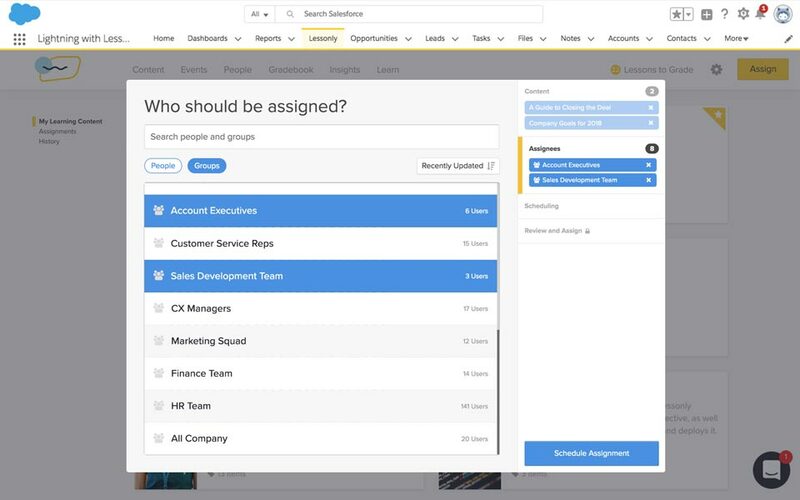 Link employee data between Lessonly and Salesforce so your team has the most accurate and relevant information. 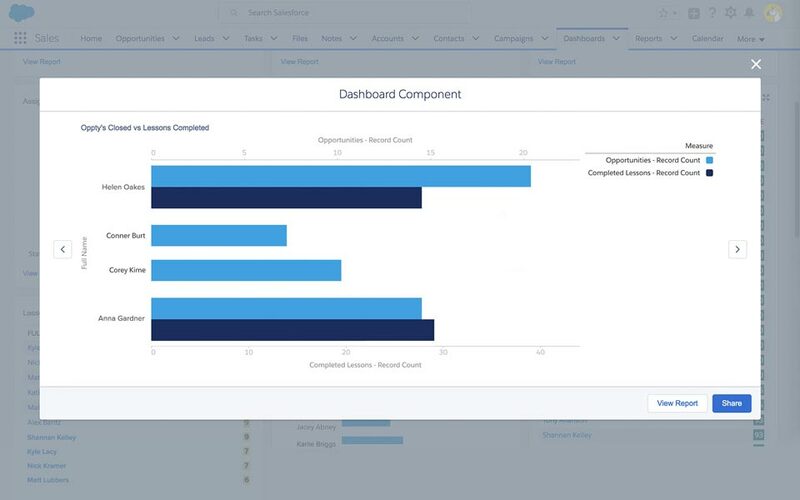 Connect Lessonly training engagement to actual job performance with Salesforce dashboards and custom reports. Match training content to specific stages of the sales process so reps have the right training content for any situation. Is this a Managed Package? Yes, we have developed a Force.com managed package. Will the integration work on the Professional edition of SFDC? No, it will only work with Enterprise edition and above. The Professional version doesn’t allow for custom development (which is required to use our managed package). Is this available in Classic and Lightning? Yes, it will be Lightning and mobile ready. With exception of Guided Learning (only available in Lightning), all features will work with both Classic and Lightning. Can clients use the integration without downloading from the AppExchange? No, unless they are part of the beta program. When will it be available for download on the AppExchange? Our integration is available now! 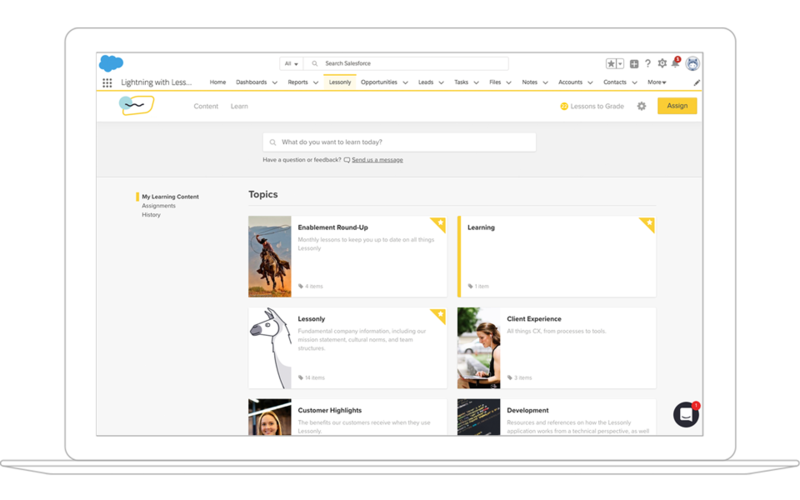 The integration includes the Lessonly tab in Salesforce, user syncing, custom reports, and guided learning. Pricing varies, depending on which Lessonly package you select to integrate with Salesforce. Contact Lessonly sales for details. Which Salesforce products does Lessonly integrate with? Sales Cloud and Service Cloud to start. 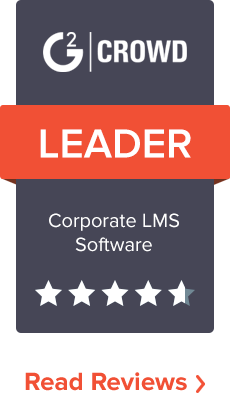 If you’d like to see Lessonly integrate with a different Salesforce product, let us know!